As the boating season ends for many boaters, one of the most important tasks arrives — proper preparation for storage. Many damage claims are the result of poor storage practices. Remove equipment that can be damaged by severe cold. Proper covering with good ventilation. Correct set-up of blocking for long term storage should be of utmost importance. Plug exhaust outlets to insure critters will not set up winter homes in them. There are many details for each item listed and if all are not properly done, you could miss a good portion of next season making repairs. A vessel stored outside with the drain plug removed that is set on a cradle with the keel support just above the ground is at risk. High winds can pack drifting snow against the drain hole. Changing temperatures and blowing rain and snow will allow moisture to collect in the bilge sump area. With the drain hole plugged, moisture can collect. A quick change in temperature, with sub-zero readings, can cause moisture build-up to freeze quickly, thus cracking the keel’s bottom from the inside out. The crack can go undetected because it is in the bottom area, just a few inches off the ground and not visible. At launch if bottom paint is applied, being thick in nature, it can fill the crack and go unnoticed until the vessel sinks at dockside. Boats should be checked frequently during winter storage, especially those stored outside. A close watch of open drains and winter covers helps avoid damage. Birds and small animals have been known to enter boats under their winter covers. They can destroy interiors, tearing seats and carpets to shreds and the damage goes undetected from outside. Vessels stored on cradles, blocks and trailers require proper support be placed evenly around the hull. If your boat is stored on stands make sure they are on a solid base that cannot wash out or soften under them. Be sure lines are run from cradle to cradle under the boat to avoid the cradles sliding out. Boats stored on trailers should be securely fastened to them and the trailer fastened to the ground if outside. Inadequately supported hulls have been known to warp. 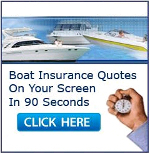 I never thought of keeping animals out of my boat while storing it. I’ll make sure that our cover is on securely and that there isn’t any food left in there that could attract them. Is there anything that I can do to repel birds and animals? It is important to properly store your boat to prevent any potential damage. These are great tips, thank you for sharing.